William Sproule and Jeffrey Tinsle discovered an old well overgrown with tangled vines. As William looked in, a prehensile liquid limb reached up and dragged him into the well by the neck! 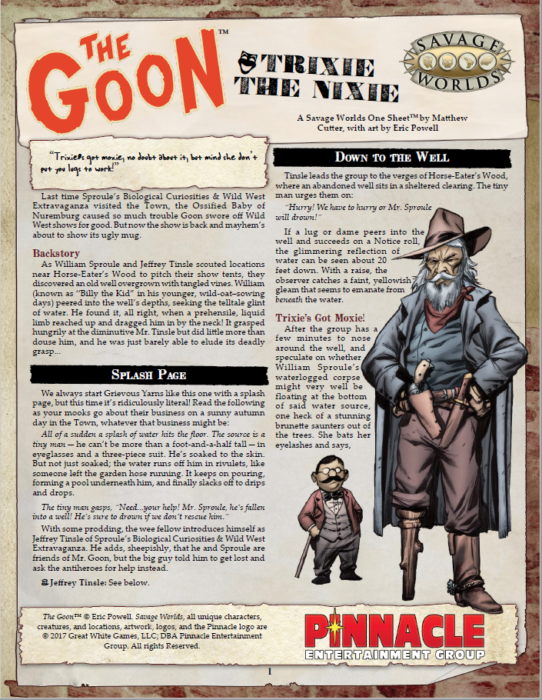 The big guy, Mr. Goon, tells Jeffrey Tinsle to get lost and ask the antiheroes for help instead. That’s where you come into the story!